Determined to make time to visit more gardens this year, we made a plan to visit Millgate House Garden in Richmond this May – and were not disappointed! I love walled gardens, and this is a fine example of a small town garden type as well as being a plantsman’s garden. The garden is situated in the very centre of the market town of Richmond, literally just off the market place. 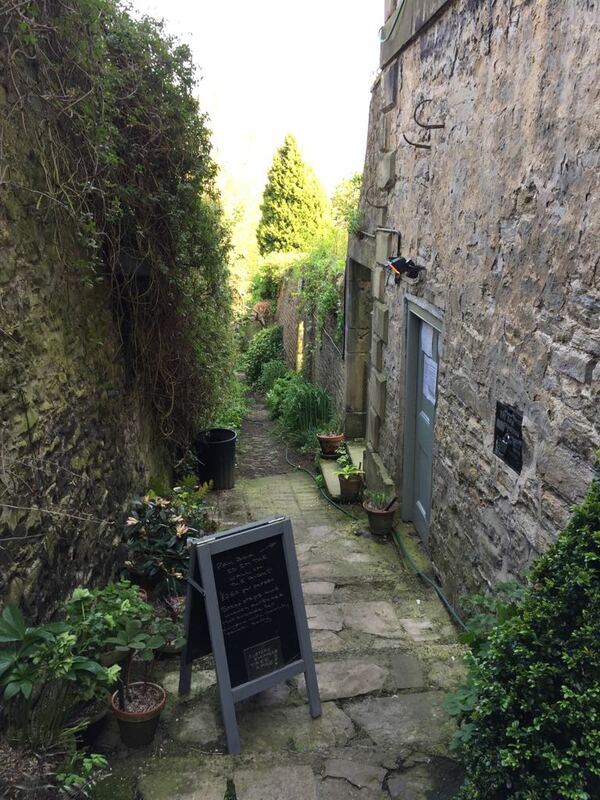 We entered through a side door of Millgate House, which leads invitingly to a shady planted passageway (lots of potted hostas and clematis on the walls) and then into the walled garden – a very different world away from the bustling market place. We approached the garden via the elegant ironwork balcony at the rear of Millgate House which leads to the upper terrace. The centre piece to this space is the superb 'Rosa Helenae' (Helen’s rose), a pale cream/ yellow flower, equal in beauty to 'Rosa Kiftsgate', which has been trained over a metal frame and looks like a large umbrella tree. The rest of the garden is densely planted and narrow gravel paths meander through the planting leading to various seating areas, some in hidden corners with views over the River Swale below and Richmond castle. 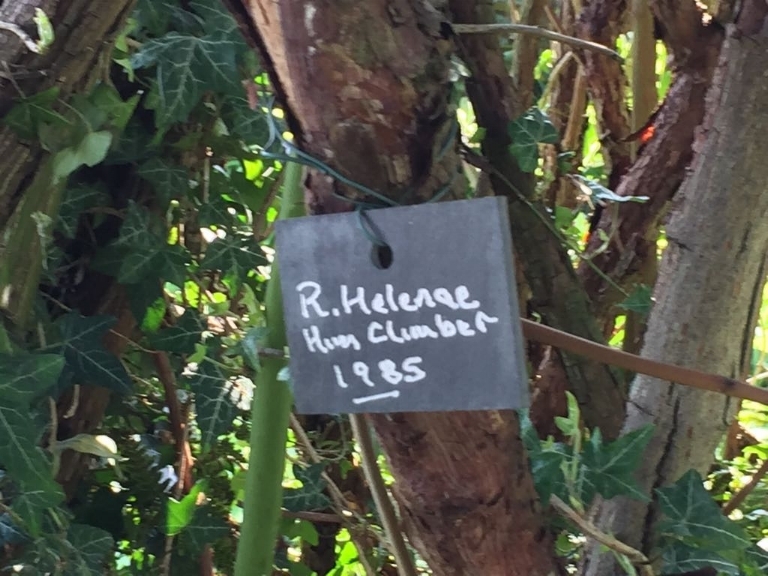 The garden is planted with many varieties of rose, clematis, hostas and specimen shrubs, many of which have hand-written labels which add to the charm of the place. Some of the roses of note include: Eglantine, Albertine, Tuscany Superb and Constance Spry. 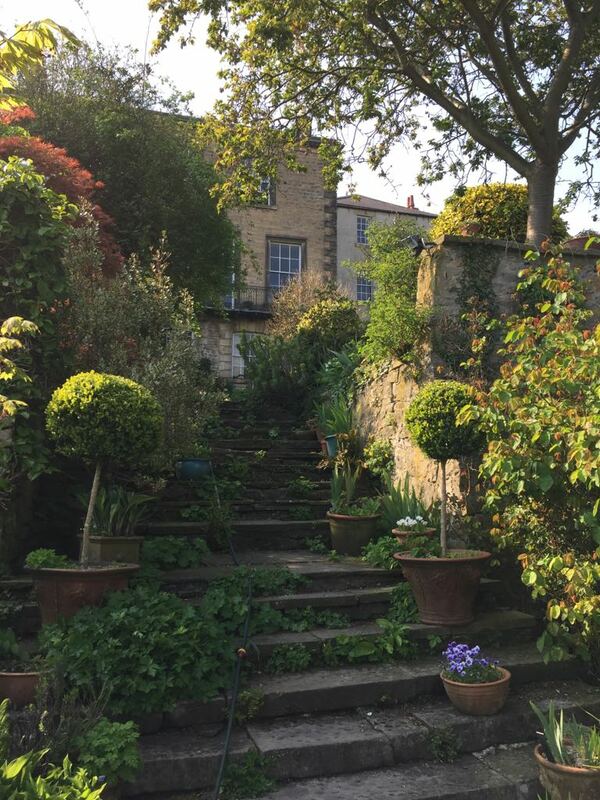 Stone steps, with more potted plants, lead down to the lower planted terrace and Coach House. Celebrating our success in the Ilkley Business Awards 2018.